Bike Week Fringe Dwellers Collie Pissy ride. 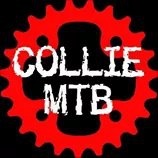 The date has been set for the Collie inaugural wed night pissy ride. A new event for Collie, based on the Pile rd event which has been running for 16 years. Not a politicly correct type of ride but very social with great networking. Night ride followed by BBQ for the end of ride. The ride will take in some of the newly opened trail network.